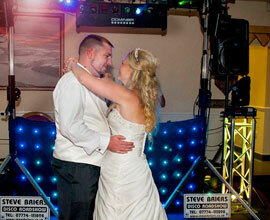 Of all the special moments at your wedding day, the music is one of the things you will remember most. 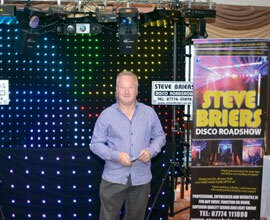 Steve Briers Disco Roadshow Pembrokeshire, Carmarthenshire, Cardiganshire & South Wales, including Tenby, Saundersfoot, Haverfordwest, Swansea, Pembroke, Milford Haven, Cardigan, Manorbier, Carmarthen, Swansea, Narberth, Fishguard etc. 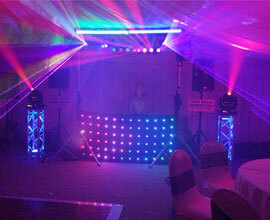 I am proud to be widely regarded as Wales number 1 award winning DJ, with a reputation as being one of the UKs most professional, reliable and experienced DJs. 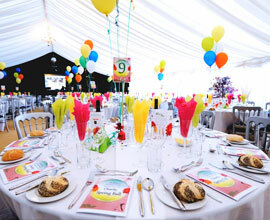 Equity member and Full Public Liability Insurance, Guinness World Record Holder!! "Dear Steve, Just a quick message to say a giant thank you for DJing our wedding last week and helping us make it such a special day. We had a truly fabulous time and it was great to get to know you. Thank you for listening to us and keeping us on the dance floor the whole evening! What a great party!! Thanks again and all the best, Emma"